Frankly, vacation is more enjoyable with a group of like-minded friends that make me laugh 'til I cry. By the way, all of them are non-Malaysian. The guys - Ralph, Asim (Saudi Arabian), Salleh (Saudi Arabian), Abdullah (Saudi Arabian), Senjab (Syrian), Farzam (Iranian), and Behzat (Iranian). The ladies - Lili (Egyptian), Vivi (Indonesian) and I. 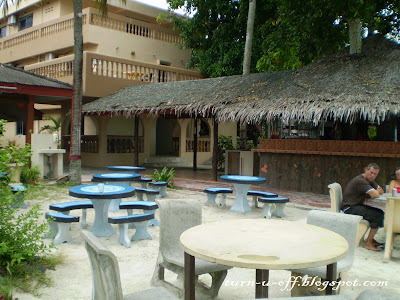 When we arrived, Asim brought us to Desa Motel with his Gen2. #1. 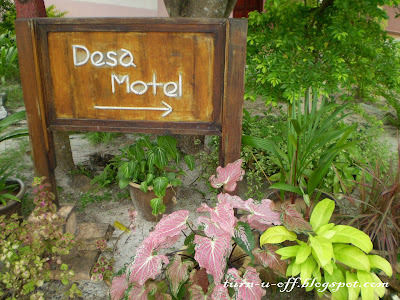 I was quite disappointed to find out Desa Motel is not located along Pantai Cenang. 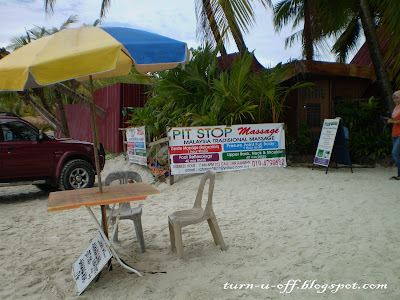 I was looking forward to stay in a place with a beach view or close to the sea or being right on the beach. 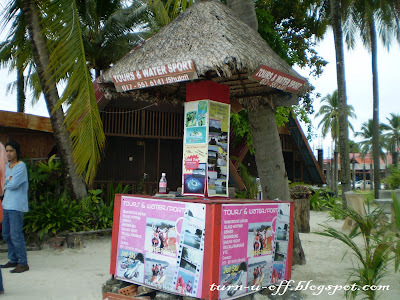 But there were no other options as many of the resorts were already fully booked. Lesson learned - Book ahead!!! #2. Its location grants us with some quiet since we're not right at the hub of all entertainment, but keep us on just a short walking distance from Pantai Cenang. #3. A separate living room area. #5. The room and the bathroom are quite spacious. 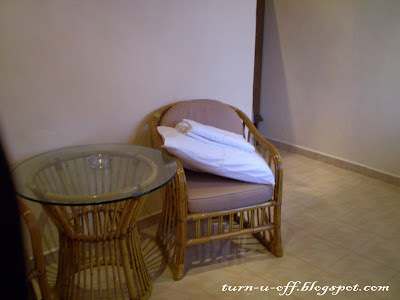 It costs RM 120.00 per night (with A/C and hot water shower) during the peak tourist season. 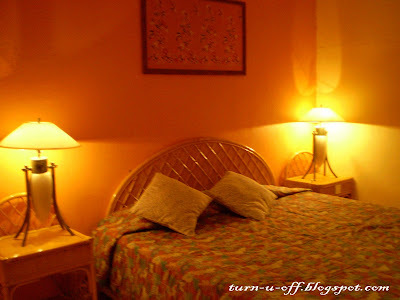 Oh yes, include free wireless internet access in the room as well. 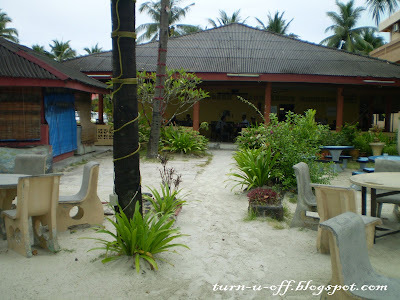 After checked-in, we went to a restaurant at Sandy Beach Resort (one of the resorts in Pantai Cenang) for lunch. #11. 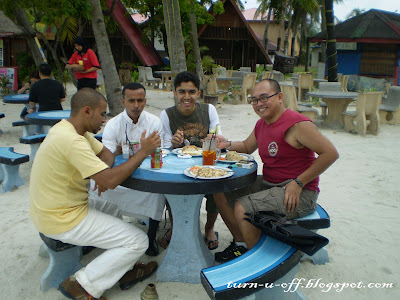 Asim, Salleh, Abdullah and Ralph. #13. 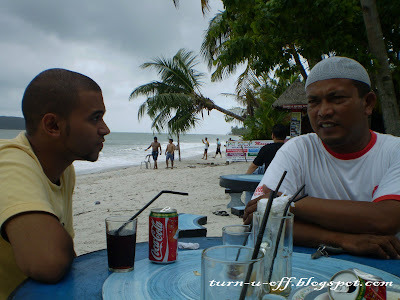 Asim and Mr. Basri. #14. The weather was great on that day; cloudy with a bit of rain. #18. Asim's car. 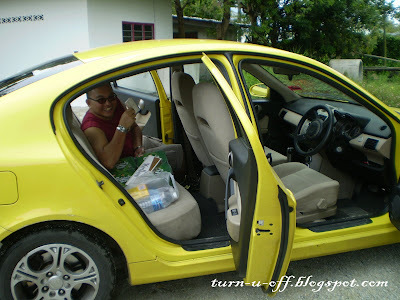 He certainly has a passion for Langkawi, so much so that he bought a car there! We also have made a lot of new friends especially Middle Easterners during the trip. #19. We filled up the empty mini-fridge with beers (for them) and chocolates (for me). 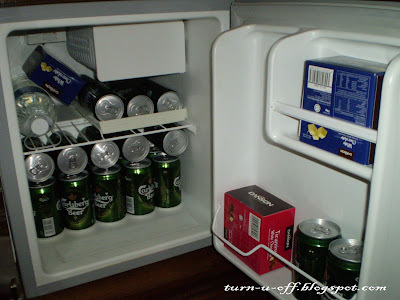 Beers are cheaper than mineral waters; 24 cans of Carlsberg cost RM 35.00! #20. Getting ready for dinner. #21. Talking to mom on the phone. #22. 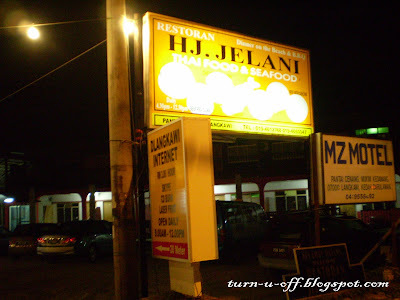 Ralph and I (just the two of us; the rest went somewhere else) decided to dine at Hj Jelani Restaurant, Pantai Cenang. 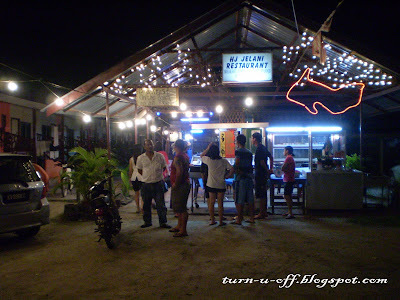 The restaurant is ideally situated facing the beach. #24. 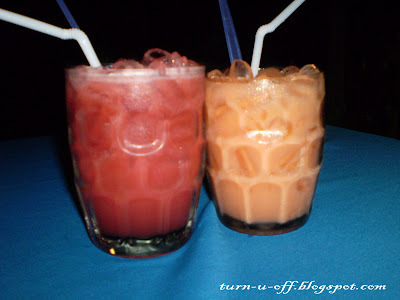 Watermelon juice & carrot juice. #27. 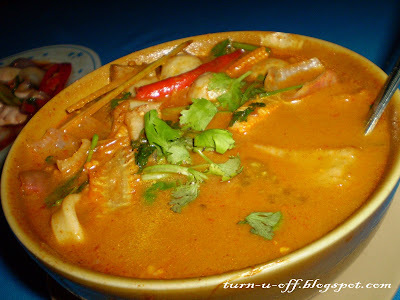 Seafood tom yum. 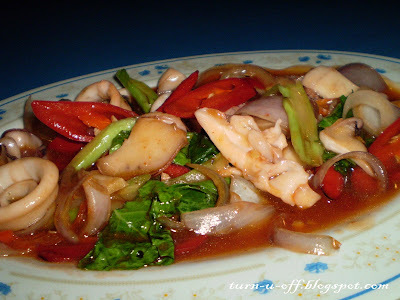 If you love tom yum, don't miss this!!! #28. 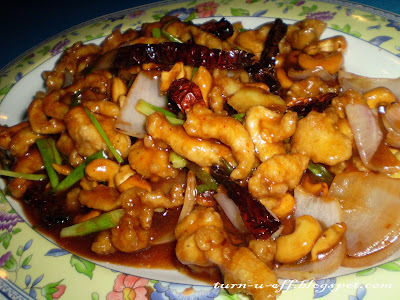 Fried cashew nuts prawns with dried chili. 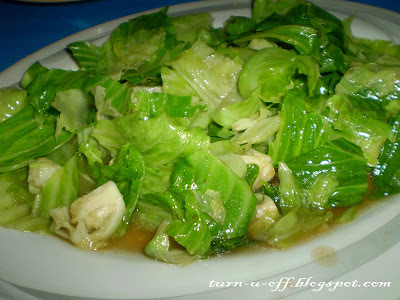 The wonderful meal costs us RM 50.00 only! #29. 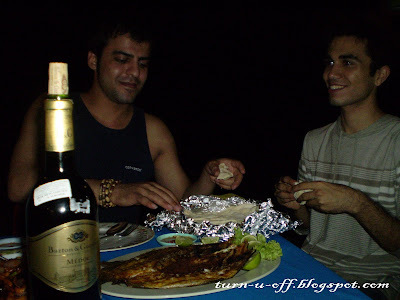 Then, Farzam and Behzat came and joined us. They brought a bottle of red wine. After dinner, we went to the airport to pick up Lili. #30. 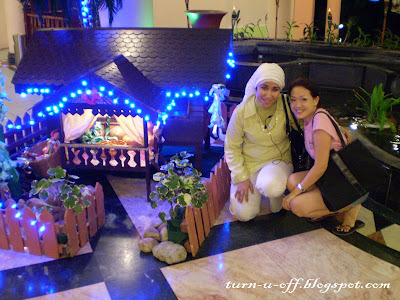 Lili and I at Aseania Resort. 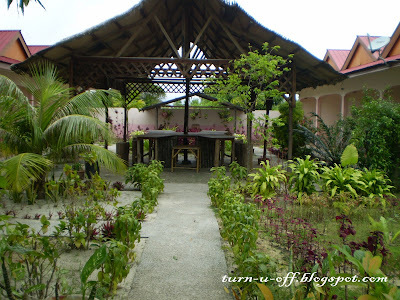 The resort that I had stayed previously with Ralph. After she has checked into the resort, we had pizza for supper. OMG! The pizzas are really good! 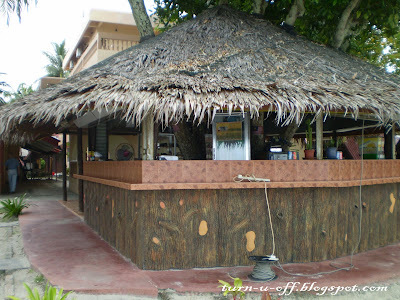 In my next post, I'll tell you where you can find the best pizza ever in Langkawi. Art On Display is a virtual, online art gallery to showcase artworks by artists and designers from all around the world. You can submit your links here. 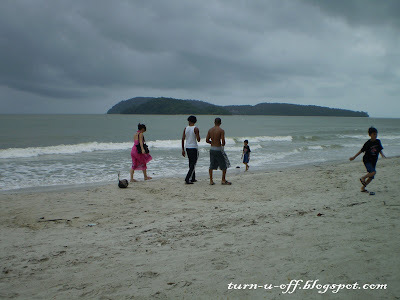 Have been to Langkawi only once. Looking forward to holiday there again, hopefully soon. Hard to find some like-minded friends to go together! You are lucky to have such friends around. 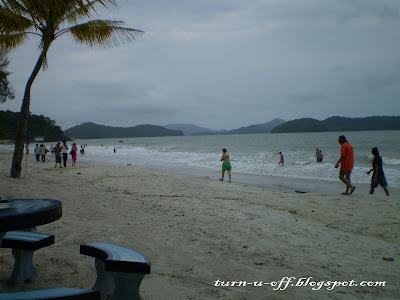 I've been to Langkawi over 5 times....love the place! Cheap booze and chocs! the food looks delicious and my tummy is rumbling now. glad you enjoyed yourself. omg!! bestnyaaa!!! 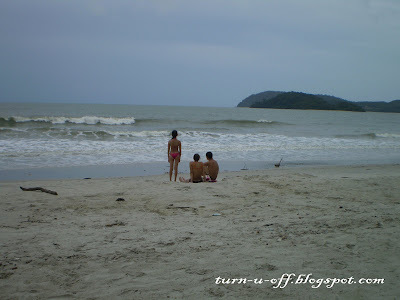 i havent been to langkawi in ages!! i was planning to go to phuket but seeing as our beaches are not too shabby, i think i should jalan2 jadi tourist in own country la first. hehehe. 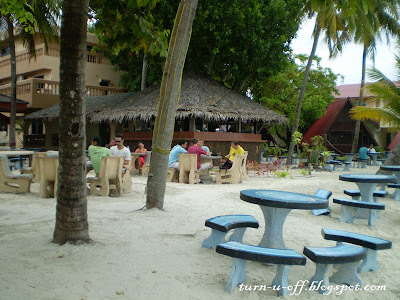 i wish my husband and i can go to Langkawi soon, the place has this romantic feel to it... and the food looks great! thanks for sharing the pictures! Thanks for sharing; I'll check it out. wah, I'm sure you had a fantastic honeymoon there and you'll cherish the memories forever!!! hey dear, so happy to see you here! I haven't been to Phuket yet but I guess Phuket has clearer water than Langkawi. You really know how to enjoy life, don't you?? :) Hv a great weekend..Like what U.Lee always said..."hang Loose!!"" haa..haa. Lovely pictures and thanks for sharing it. Yes! 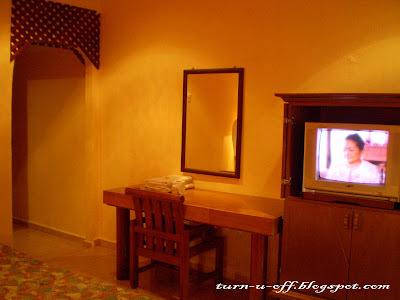 There're three golf courses; The Langkawi Golf Club, The Golf Club Datai Bay and Gunung Raya Golf Resort.